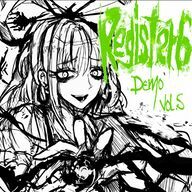 Register6 Demo Vol.5 is a doujin album by Register6 released on 2013-05-26 (Reitaisai 10). It is a vocal album featuring one single arrangement from Ten Desires. This page was last edited on 11 September 2016, at 17:42.